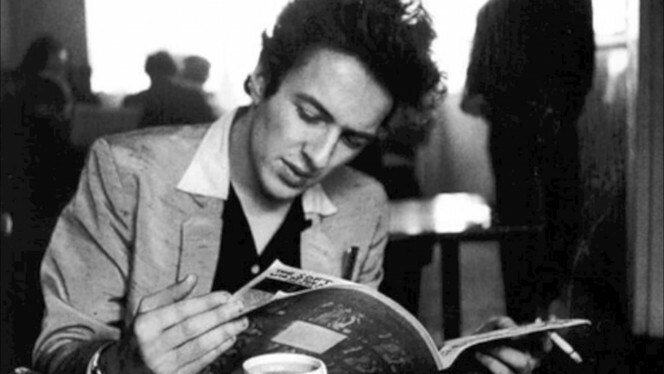 As many of you know 22nd December marks the anniversary of Joe’s passing and on that very important date we announced publicly that Strummerville will now be officially operating as The Joe Strummer Foundation. There are a few reasons for this change, the main one it being a legal requirement as a result of the Strummer of Love festival. Although a huge success in terms of cultural and social significance it brought a heavy financial burden on the charity. In the 11 years Strummerville has been in existence our aims and objectives have changed as have the needs of the projects we support. We have new visions, missions and objectives and to make it work we had to reconfigure everything; closing Strummerville was the only real option left for us – now we can move forward with the projects we would love to support, without any legal obstruction. Another reason is that some of the original Strummerville trustees, after many years of loyal support, have decided they would like different challenges. We thank them for everything they have done and we are very excited to have a new team of trustees joining us for this next chapter. Over the past 11 years we have contributed to many great causes at home and abroad and we helped to change peoples lives, fortunes and dreams all through music. And we will continue to do so, that is the one thing that will never change. Joe’s legacy remains very much with us and as we begin a new chapter as The Joe Strummer Foundation we will be 100% driven to continue supporting the amazing musicians and projects we are currently working with and we have some fantastic new ideas on the horizon. New music will always be at the core of our foundation and we fully intend to always support underground & independent musical talent. We thank you all for your ongoing support and on this special day we would like for you to keep the fires burning and raise a glass, in honour of Joe, and for the very idea that music can and does change the world around us. We wish you happy holidays and a healthy and prosperous new year.